Regulatory - Laceys Solicitors Laceys is a leading, forward-thinking law firm with specialist experts serving both individual and business clients across a broad spectrum of practice areas. 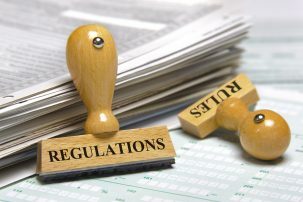 Regulatory legislation (which includes consumer, data protection, gambling, marketing and licensing law) is extensive, all-encompassing and changing all the time. Complying with such regulations is vitally important for businesses, but can often be seen as a bit of a minefield. Our lawyers are able to help take the stress and confusion out of this process. We can advise you on your obligations, ensure that your contracts are in line with regulatory legislation, prepare any relevant policies and applications, guide you on how to respond to complaints, requests and queries from customers or regulatory bodies such as Trading Standards and we can even carry out audits on your business. We also have expertise in advising on gambling legislation and marketing regulations. We have experience in reviewing businesses’ marketing material, writing the terms and conditions governing prize draws and advising on how organisations can offer and run various promotional activities. We aim to provide advice that is comprehensive yet practical and easy to understand. If you would like any further advice on consumer, data protect and licensing matters please contact one of our team below to see how we can help. 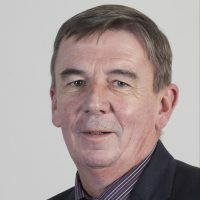 Philip graduated from Trinity College Cambridge in 1978 with an Upper Second BA in Law and was admitted as a solicitor in January 1981 having been articled in the Government Legal Service. After working as a prosecutor for HM Customs and Excise for two years, Philip moved into private practice in Reading. There, he specialised in criminal work both prosecuting for agencies such as British Transport Police, Hampshire Police, The Department of Trade and Industry and the RSPCA and defending private clients before beginning to specialise in licensing in 1985. Philip moved to Bournemouth in 2001 and has ever since specialised in alcohol and entertainment licensing for pubs, clubs, hotels, restaurants, off-licences and events, including large scale outdoor festivals and fairs as well as betting and gaming. His practice and experience includes associated work such as noise and environmental issues. Outside of work, Philip has a busy family life as well as being a Town Councillor and organises events on behalf of Ringwood Council, including Fireworks displays and the annual Christmas lights switch-on and festive market. 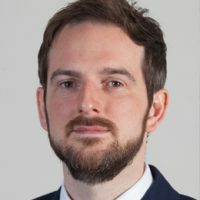 Sam is head of our Corporate and Commercial team and is a vastly experienced corporate lawyer having advised a wide variety of businesses within a range of sectors. Sam’s particular specialisms include share and assets acquisitions and disposals, company restructures, shareholder agreements and partnerships. Sam enjoys helping people succeed in business regardless of whether the client is a small local set up or a large national organisation. Whatever the concern, Sam provides a calm personable approach to his work ensuring clients are guided in a practical straightforward manner. Away from work Sam has recently become a dad for the first time, although when the time permits he enjoys playing cricket and pursuing the never ending task of trying to lower his golf handicap. Why it’s more important than ever to keep your customers data safe. Why you should be telling people about your cookies.